Our KS1 classes have really enjoyed World Book Day today. Have a peep at how super they all look in their costumes. Thank you for all the hard work and effort you put into these. All of our year 6 children pictured outside Parliament before their guided tour. The Queen's Jubilee window in Westminster Hall. On our way around Westminster we saw statues of many inspirational people, including this one of Emilie Pankhurst (leader of the Suffragette movement). We really enjoyed a walk along Whitehall - seeing Downing Street, Horse Guards Parade and Trafalgar Square (below with street entertainment). More pictures and reports to follow after half term. ALL HALF-TERMLY PAYMENTS ARE TO BE MADE BY THE FIRST MONDAY FOLLOWING THE START OF EACH HALF TERM. DEADLINE FOR PAYMENT IS MONDAY 4 MARCH, PLEASE. You should allow 2 days for processing, and please note we will need notification of the payment on a Monday, so if you are paying weekly, you will need to make the online payment by the previous Friday. Payment needs to be for a minimum of 5 meals, but those 5 meals can be spread over any time period. The system is NOT able to process payments in arrears; if necessary these should be made by cash or cheque. Credits will still be carried forward, should your child be ill, or change their minds about the days they have chosen. Once you have completed payment you will receive a confirmation email from SCC, who will also notify us with details of the payment. We hope that this system will reduce processing time in the office, and provide a more convenient method of payment for parents. This is a new venture for us, and we hope that you will bear with us during the introductory period. Please contact the office for more information. In support of Comic Relief this year we will be selling Red Noses from the office. They will be available from Monday 25 February (after half term) until Friday 15 March (unless they sell out before!). The noses cost £1.00. The children should take them home but can bring them back on Red Nose Day (Friday 15 March) when they can wear them during part of the school day. Just to remind all families that on World Book Day (Thursday after half term), we would like all children to come to school dressed as their FAVOURITE BOOK CHARACTER. We would ask all children to bring in a donation of 50p-£1.00 please, for our chosen charity; we will be raising funds to buy books for school children in Liberia. Mrs Elphick (our previous Headteacher) is working as part of the missionary organization SIM to develop and train teachers in Liberia. SIM is a charity organization so the support we can give by purchasing school books will really boost the resources for this country that was ravaged by civil war for a number of years. Please note, World Book Day is officially on 7 March, but due to our ‘Mum’s to Lunch’ that week we have brought OUR World Book Day forward to Thursday 28 February. Just a reminder that these 2 classes start swimming at Framlingham College this week on Wednesday; please make sure your child has all their swimming kit with them. Thank you. Year 6 pupils should remember they need to bring a large packed lunch and two drinks for Friday’s trip to the Houses of Parliament, Westminster Abbey and the National Portrait Gallery. Don’t forget your coat. There will be a cake stall in the pavilion on the front playground after school on Friday. Classes PLDD & RV are baking for this event. Remember to bring some pocket money to buy an after school sweet treat. In this wet weather we often need to have spare tights, if you have any that your daughter has grown out of, please do donate them at the school office. Thank you. Please can we remind parents that KS2 children should wear tracksuit bottoms/joggers for their outdoor PE lessons in cold weather (preferably dark colour with no football team logo). A busy week in The Foundation Stage! As part of our topic this term on Journeys, each of The Foundation Classes have been on all sorts of adventures and exciting Journeys this week. Mr Smith who is a real Scot! Mrs Eyles to read to them. The Nursery have enjoyed making up journeys in the fantasy cube which has been turned into a fire engine this week! Some children have even been on journeys on magical flying carpets. How exciting! Where would you like to go on a flying carpet? for a journey in a racing car. Most of the eggs have now hatched. The chicks have now moved into a larger box where they have food and water. The children are able to handle the chicks. Press Print designs inspired by Ancient Egypt including hieroglyphics. These beautiful cats are of 'Bastet'. she was the protector goddess of Lower Egypt. She is pictured as a woman with the head of a lioness. Class KV have been very busy, each group has created their own Sarcophagus. In art with Mrs Turner, Class RV have been looking at the work of artist Vincent Van Gogh and his painting of the Starry Night. They practised their colour mixing skills and then recreated their own master pieces using paint, chalks and oil pastels. Madame Baker (from Thomas Mills HIgh School) teaches French to our year 6 classes every other week. This week she brought along her new French assistant (Samar from Paris). The children spent some time asking Samar questions about France and her interests. She also joined in with some practical activities which encouraged the children to talk in French. You can listen below to some recordings of Samar talking to the children. On Mrs Spencer's last day (before going on maternity leave) her class put on a celebration assembly based on their Egyptian topic. Watch this video below - recorded in their music lesson with Mrs Raynor. 2013 marks the centenary of the composer Benjamin Britten¹s birth. Click on his picture above to go to the britten100 website. Theo Christie and I (Lucas Evans) will be singing Britten¹s church parables - Curlew River, The Prodigal Son and The Burning Fiery Furnace around the UK and in Saint Petersburg, Russia. We auditioned through Jubilee Opera (a singing group in Aldeburgh) in December where we could sing a suitable song of our choice. Twelve boys auditioned and we were among the five who were picked. We¹ve begun rehearsing for the first parable Curlew River which is based on a Japanese Noh-Play. It tells the story of a demented mother searching for her kidnapped lost child. In the Curlew River we will play the parts of Acolytes and the spirit of the lost child. The second parable, The Prodigal Son is one of the best known New Testament Parables. It tells the story of a young man who took his will before his father had died. He went off and spent all his money and came back and his father forgave him but his older brother wasn¹t very happy. In this we play the parts of Young Servants and distant tempting voices. The third parable, The Burning Fiery Furnace is set in Babylon in the 6th century BC. It¹s about three men Meshach, Shadrach and Abednego who, refuse to worship Nebuchadnezzer¹s Golden Idol, but are saved from the flames of the furnace by their God, Jehovah. We will play the parts of Entertainers, Attendants and the angel. Some parts of the parables are sung in Latin and all of the parts are played by men. It¹s quite difficult music to learn and sing but it¹s fun to be part of this exciting anniversary. I¹m particularly looking forward to Russia and singing at The Hermitage in Saint Petersburg. But I think that all the performances in Orford, London, and Derbyshire will be very enjoyable. This morning has seen delivery of an incubator in our Nursery. We have fitted a webcam which is broadcasting around our network. Within a few hours, one of the eggs hatched. We would like to welcome Mrs Ambrose to our teaching staff; she will be covering Mrs Spencer’s class whilst she is on maternity leave. I am sure you will all join me in giving her a warm welcome. The class will continue to be known as Class NS. We also would like to send Mrs Spencer our best wishes as she prepares for her new arrival! We are sorry that Thursday 7 March is now full for Mums to Lunch. There are still plenty of places on the Monday, Tuesday and Wednesday. Please remember the booking deadline for the Mums to Lunch week is Thursday 7 February. We are unable to accept any bookings after this date. Sorry that we cannot accept any late bookings for this event. Just to remind parents that on Thursday 7 February at 2.30pm the School Nursing team will be holding a 30 minute informative session for parents on dealing with the issue of headlice. Please sign in at the office. Thank you. ie high temperature / been sick / has diarrhoea / bad cold etc, rather than just saying ‘unwell’. If you do not state any reason for the absence the office will have to ring you back to establish the reason. Thank you. We will again be collecting vouchers from Sainsburys, which we can use to exchange for PE or cooking equipment at school. The collection box will be outside the office from 30 Jan – 22 May. Thank you. We are delighted to tell you that Waiting For Christmas has raised over £49,000 to go to a school in Malawi via the Tear Fund. Thank you to everyone who took part, bought tickets for the performances or purchased the CD / DVD. We have been advised by SCC that we should record on our pupil database those children who have one or both parents who are Service Personnel. If you or your partner are a member of Her Majestys Armed Forces please can you let the office know. Thank you. The Living Egg Company have provided the school today with all we need to successful hatch some chicks in the classrooms. The children will get many opportunities between now and 15 February to check, watch and handle the chicks. Currently there is an internal webcam on the chicks so they can be viewed from any classroom, but keep an eye on the school website as we may be able to make it accessible outside the school. Children taking part in writing competition. 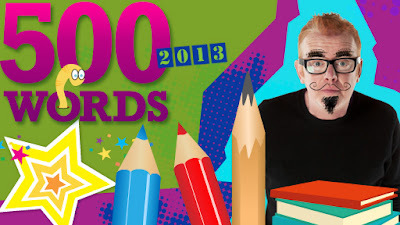 Children in class DB are taking part in the BBC writing competition called 500 WORDS. Click on the picture above to find out all about the competition and to see videos and advice from authors. 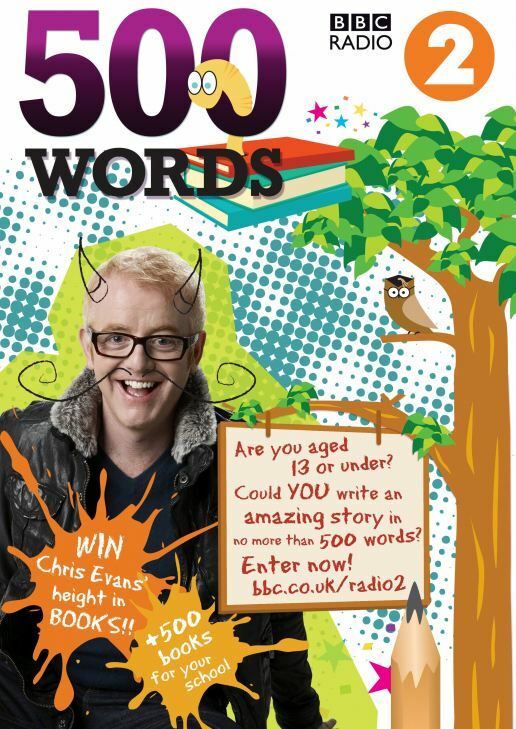 Some of our entries will be posted on this Blog when finished (entries have to be in by 22nd February). Any child under the age of 13 can take part - just see the 500 words website for details.